Professional make-up artist and licensed Esthetician serving Maryland, South Carolina, Virginia & Washington D.C. regions since 1989. Official website for the Long Island, NY-based death metal outfit The Suffering. 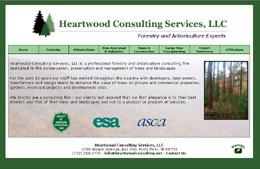 Heartwood Consulting Services, LLC is a professional forestry and arboriculture consulting firm dedicated to the conservation, preservation and management of trees and landscapes. 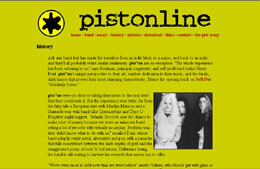 The once-official website for the (possibly defunct) Brooklyn, NY-based rock band Pist*On. 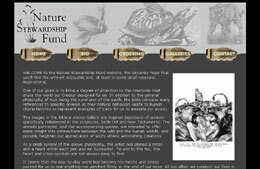 Perplexed Net is a personal site belonging to one of WHYRD's developers. 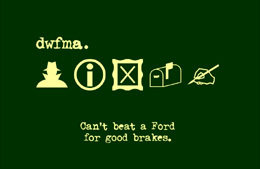 dwfma is another personal site belonging to one of WHYRD's developers. The Perplexed.Net Store (formerly perplexedmacabre.com) is a small retail store, selling band merchandise, old books, and obscure trinkets, some using PayPal's free shopping cart, and others through eBay and half.com. 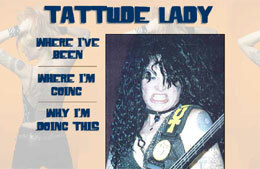 Official website for rock bassist Val Ium (ex-Pist*On). The Cable Doctor makes house calls. An unofficial website for the record-holding hockey goaltender Patrick Roy.